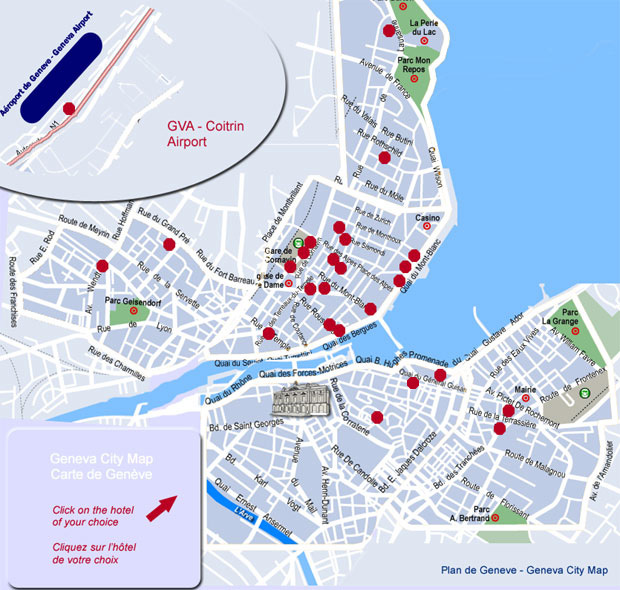 Please find herewith the map of Geneva City Center - See all hotels location and choose the area - click on the red circles and go directly to the hotel page. Enjoy your stay. Just click on the map to edit the specific hotel page - Get up to 60% discount on your bookings.